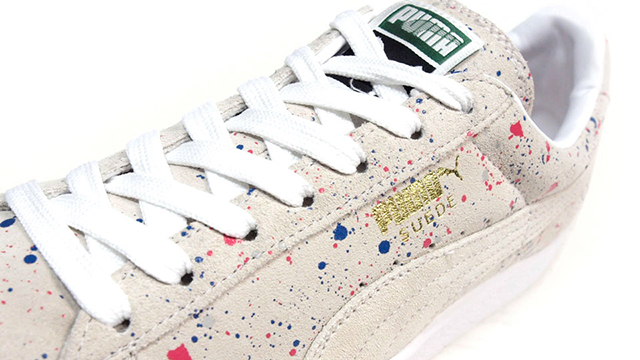 One of Puma’s best selling OG models is the Suede or Suede Classic. As of late the brand has been re-introducing the shoes with various prints through the uppers. 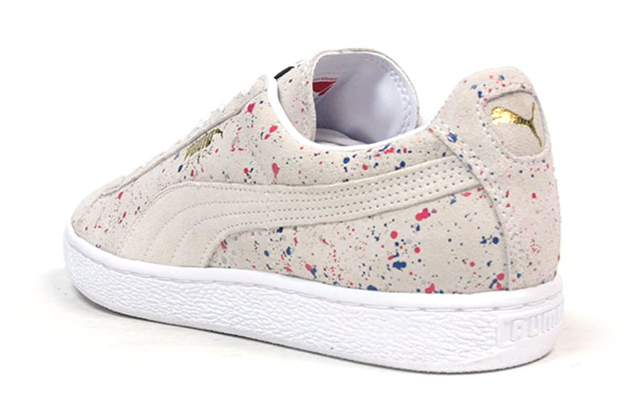 A new pair is starting to land at select retailers which receive a colorful paint splatter. 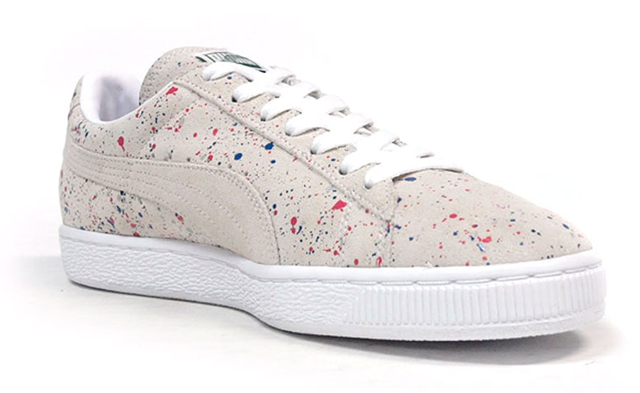 The Paint Splatter Puma Suede Classic uses a beige upper done with of course suede material. 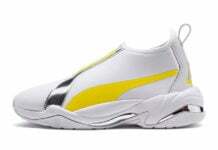 Gold foliage is seen on the Puma branding on the heel and by the laces. 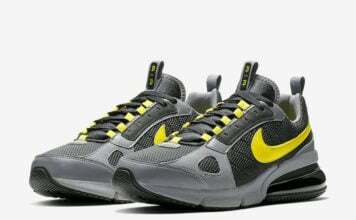 White will fill in the midsole and laces. Last but not least is the use of red, blue and green splattered through the uppers. 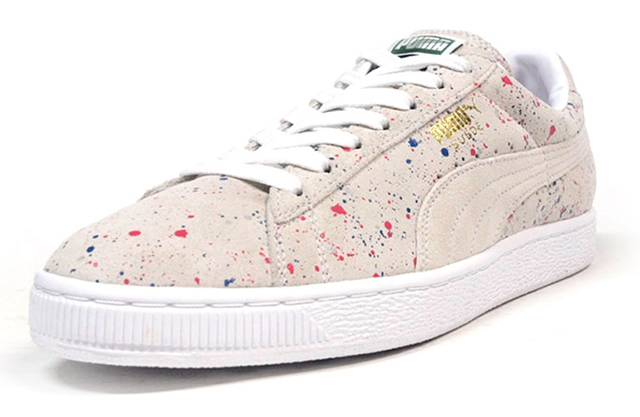 Now available overseas, the Puma Suede Classic ‘Paint Splatter’ should be showing up in the United States late Spring or early Summer.